At this stage, uncertainty about the future is inevitable. But unless a country is prepared to accept long-term stagnation, failing to adapt to the coming changes is not an option. Italy and Europe are at an inflection point. After an election in March in which the anti-establishment Five Star Movement (M5S) and the far-right League party captured a combined parliamentary majority, followed by months of uncertainty, Italy has become the first major EU member state to be governed by a populist coalition. M5S and the League both openly question the benefits of eurozone membership, though neither party made leaving the euro a specific commitment of their governing program in the election campaign, a failure that Italian President Sergio Mattarella seized upon in vetoing key cabinet pick. They also disdain globalization more generally. The League, in particular, is obsessed with cracking down on immigration. On the domestic front, both parties have promised to tackle corruption and topple what they see as a self-serving political establishment, while introducing radical policies to reduce unemployment and redistribute incomes. Still, we won’t know the precise dimensions of the M5S/League agenda until the populist coalition begins governing in earnest. There are rumors that the parties want to write down Italy’s sovereign debt, which currently stands at a relatively stable level of just over 130% of GDP. If they did, a Greek-style confrontation with the European Union would seem certain to follow, with interest rates and spreads on Italian sovereign debt increasing rapidly, especially if the European Central Bank decided that its mandate precluded it from intervening. Read the full article as published in Project Syndicate. 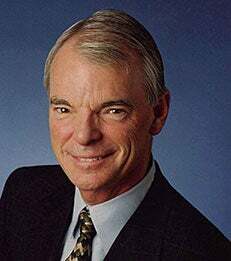 A. Michael Spence is a William R. Berkley Professor in Economics & Business.